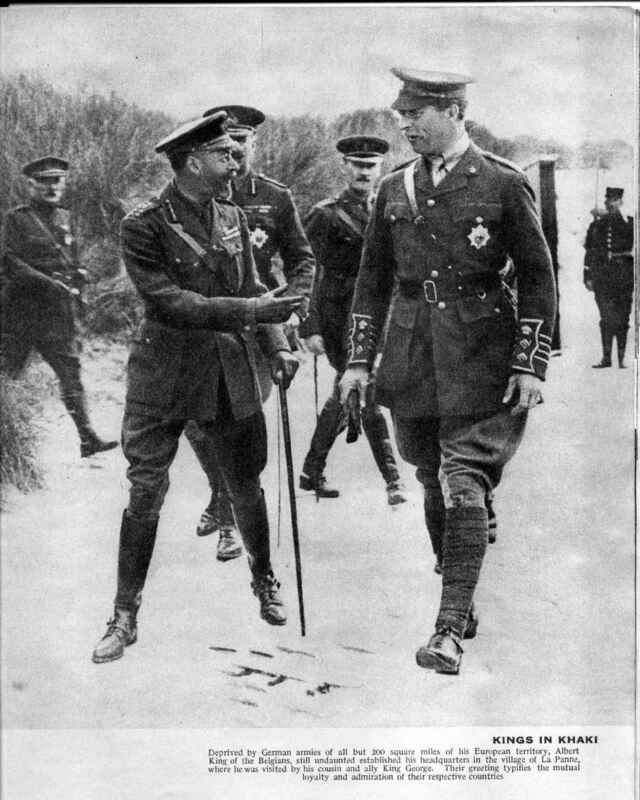 King George and King Albert at La Panne (De Panne). Both King's made many visits to the 'front line' during the war.
" Kings in Khaki. Deprived by German armies of all but 200 square miles of its European territory, Albert King of the Belgians still undaunted established his headquarters in the village of La Panne, where he was visited by his cousin and ally King George. Their greeting typifies the mutual loyalty and admiration of their respective countries". The dunes in the background are a couple of miles from the front line.